To provide the owner with a high quality, durable, and low maintenance polished concrete or epoxy floor in a timely manner. 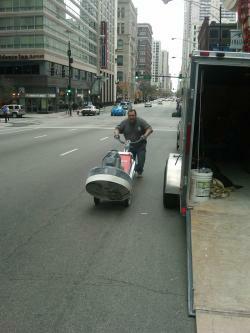 Great Lakes Concrete Restoration uses products that are not harmful to humans, pets, or the environment. Our epoxy and urethanes are 100% solid or high solid. All other liquids are Leed Rated and Green Certified. Our types of floors also include chemical resistant, ESD / Conductive, chemical sealers and hardeners, burnished, polished and chemically colored dye. Great Lakes Concrete Restoration is a certified installer of L&M Chemical products for polished concrete and American Industrial epoxy floor products. Other manufacturer lines include, Sherwin Williams, ChemProof Polymers, Sika, Spartacote, and many more. Manufacturer data and color charts are provided on our website. With well over 50 combined years in the polished concrete and epoxy flooring business, we use a team solution approach to get your job done. Our company believes in using an open-minded approach, gaining better knowledge with every job, as no two floors are the same. 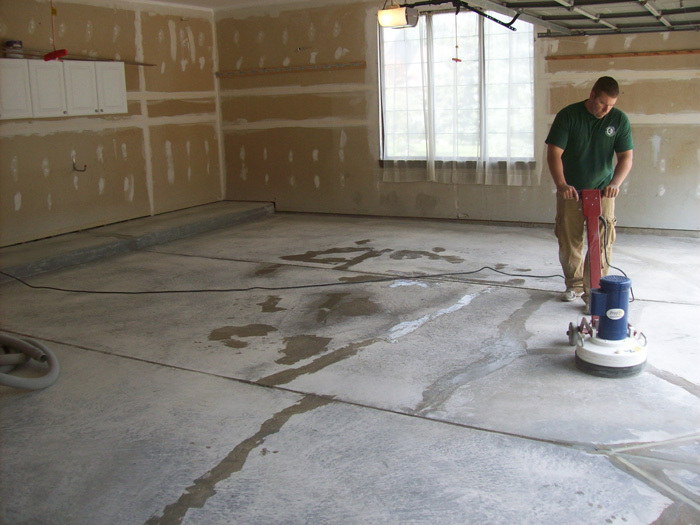 Great Lakes Concrete Restoration provides domestic and international service in the areas of epoxies, urethanes, dyed and polished concrete floors and concrete sealers. Other services provided are flooring mastic and grout removals, shot blasting and scarifying, application of new resurfaces, and overlaying of floors. I just wanted to tell you how much I appreciate not only the "awesome" job you did our garage floor but how accommodating you were. My husband and I explained to you our situation that we were having a wedding in our backyard for 200 people in less than two weeks and how urgent the matter was to get the garage floor done, but even with your busy schedule you and your crew came out the very next weekend and got the job done! When all finished it looked "awesome" and our guests were amazed how you were able to transform our garage floor in one weekend. Once again Dale, Thank you.